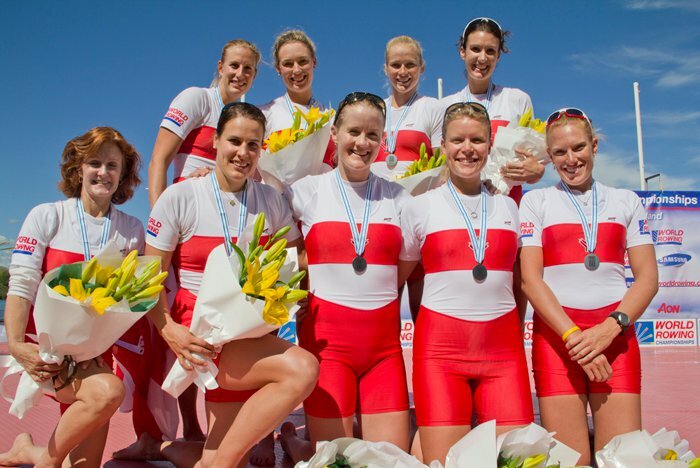 Canada’s Women’s 8+ won silver at the 2010 World Rowing Championships on ﻿﻿Lake Karapiro in New Zealand yesterday. Congratulations to Janine Hanson of Winnipeg and the rest of the crew! This is the second medal for a Winnipeger at the World Championships. Earlier in the week Meghan Montgomery’s crew won Gold in the Adaptive LTA4+. Other Winnipeg rowers Emily Cameron and Morgna Jarivs also competed in the regatta finishing 8th and 15th overall in their respective events. Janine Hanson, left in back row.